Which of these would be more effective at conducting a humanitarian relief in a threat area? CRISIS 2016 – A simmering conflict in a Central African nation has spread to a neighbouring country, with armed militias crossing the border and threatening the stability of a newly-elected government. With little notice, its Capital City comes under threat, and a plea is made to the international community for peacekeepers to help restore order. 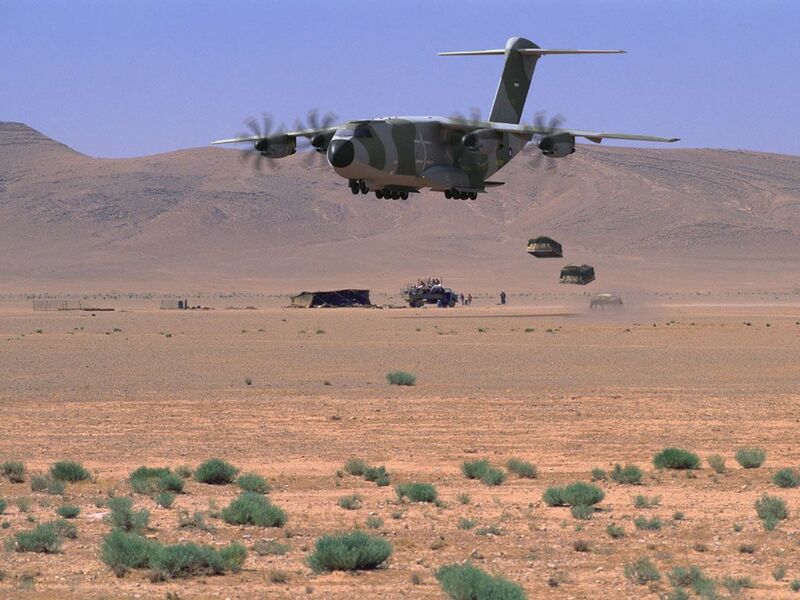 With historic ties to the region, France is quick off the mark, dispatching an A400M Atlas with a HQ contingent, pallets of equipment, and peacekeepers – 60 personnel in all, with 20 tonnes of cargo. Meanwhile, another Western European nation pledges its assistance, but must turn to the private sector for its airlift needs – they charter a Shorts Belfast to carry their contingent, which will consist of a similar force of 100 peacekeepers along with engineering equipment. Both transports leave Europe within an hour of each other, however the faster Atlas is first to arrive in Capital City. Rolling blackouts mean the Atlas’ crew need to use Night-Vision Goggles to touch down on a pitch black runway. The slower Belfast meanwhile arrives by dawn, its crew making a VFR approach. By then, the Atlas has reversed itself onto a gravel apron to disgorge its load, and begun loading foreign citizens for evacuation. The Belfast meanwhile is unloaded on a taxiway – all available concrete aprons at Capital City’s airport are occupied by the hulks of 727s and Tu-134s abandoned by the previous regime. Fortunately, the Belfast has brought with it a bulldozer and tow, and by mid-morning, enough cleared space has been made on the concrete tarmac. By now, the Atlas has departed with a full complement of 116 evacuees. At midday, a panicked message comes through to the peacekeepers – a contingent of 130 people (including an Al Jazeera correspondent and their cameraman) are stranded in a village on the country’s border, with militias cutting off all roads in and out. The Belfast has been unloaded and is ready, but there’s a problem – the village’s airstrip is unsurfaced, and too short for it to land there. Another French Atlas is heading for Capital City carrying a load of peacekeepers, and is re-directed inflight, touching down at the village airstrip after dark – again, with the crew utilising Night-Vision Goggles. It’ll take two trips to shuttle out the village evacuees by Atlas to the Capital City. The first flight is made without problem, but during the loading of passengers for the second flight, intelligence is received that the militias have enlisted a ‘sympathetic’ Air Force Colonel from their home country to the cause. 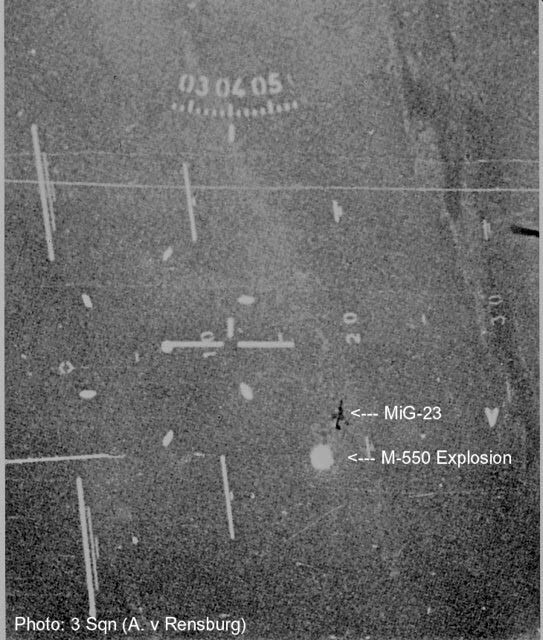 MiG-23s have been observed sneaking over the border, and while French AWACS and Fighter Cover are on their way, the Atlas crew need to leave the airstrip – and fast. Wearing Night-Vision Goggles, the crew of the Atlas lifts off the runway but stays low, using terrain to mask the aircraft from detection. The trip to Capital City is made without incident, and the evacuees cross the tarmac to the waiting Belfast. There’s just enough time for the Belfast’s crew to stroll over to the newer airlifter and give it a look over. They listen to the Atlas’ crew describe in (broad) detail the evacuation mission, and tour over the 21st century airlifter. The Belfast’s crew have their tour cut short however when their own aircraft, some 52 years old, has been loaded and is ready to fly out. Winner: A400M Atlas. It’s an unfair comparison – the Belfast was never intended to take payloads ‘to the foxhole’ – but rather, deliver loads to a bridgehead where they could either self-deploy or be loaded in to Beverleys or Argosies. On a strategic level, it’s a fairly even fight – the Belfast is roomier, the Atlas a lot faster. Both are easy to load. But the Atlas is built to land with its load to the fight, under whatever conditions. Despite broadly similar planform and dimensions, it’s hard to compare two aircraft seperated by 40 years and two different roles. 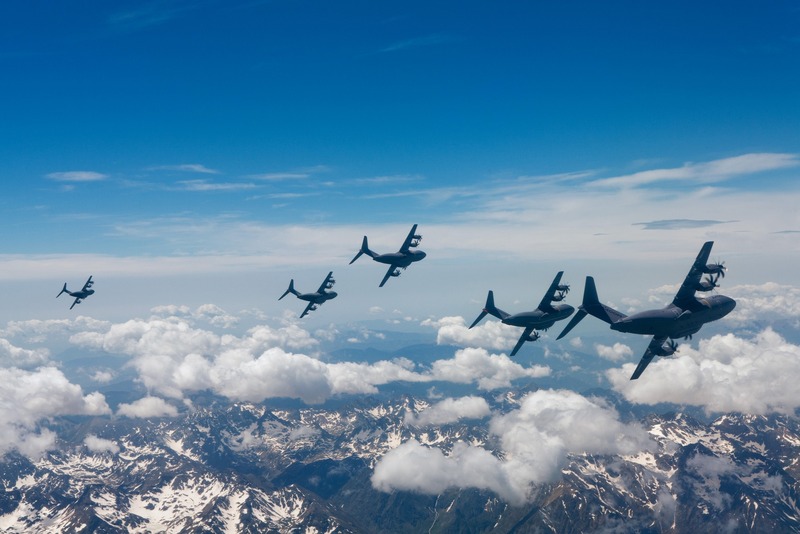 What is interesting however is that they are two aircraft united by a common ‘enemy’ – the C-130. It’s been suggested that had fate turned differently for the United Kingdom, 30 Belfasts would have been produced (instead of 10), and they would have served a full career (instead of retirement from the service in the mid-70s). A few soldiered on in to civil charter, but the Belfast’s race was over before it began. 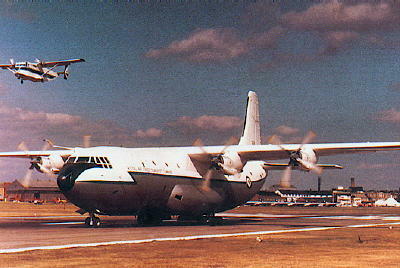 Twisting finances saw the C-130K – with its smaller cargo bay but far greater versatility on airfields – take precedence with the Royal Air Force. 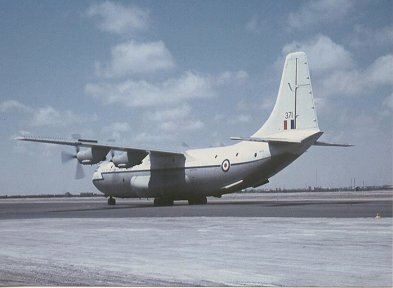 Some 40 years later, the Royal Air Force is on the cusp of introducing an aircraft which combines the best of both worlds – the Belfast’s strategic capacity (loading entire helicopters and armoured vehicles) with the Hercules’ access to semi-prepared airfields in tough conditions. The degree to which an Atlas can accomplish this in an operational theatre will become clear from 2015, when they arrive in to service with the Royal Air Force’s No. 70 Squadron. The Belfast will have been long gone (the last civil charter airframe sits at Cairns Airport), but an interesting contest will brew in the next decade as the Atlas faces off against C-130s (and C-17As, Antonovs and Embraers) for airlift surpremacy. 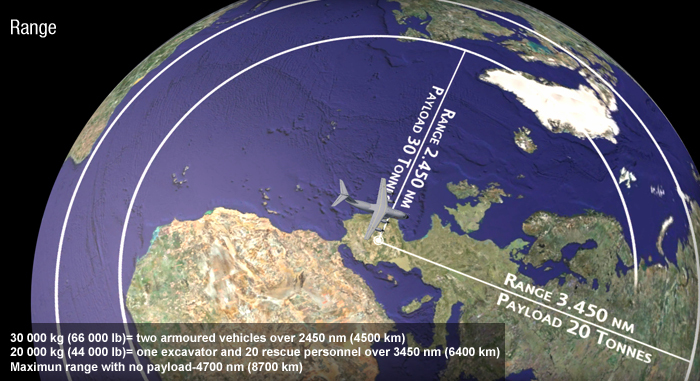 Payload: A400M 37 tonnes or 81,600lbs; Belfast 35 tonnes or 78,000lbs. Cargo ‘Box’: A400M: 17.7m long (plus 5.4m on ramp), 4m wide, 3.85m high (4m aft of wing); Belfast: 25.7m long, 4.9m wide, 4.06m high. Cruise Speed: A400M 421kts; Belfast 292kts. Range with max payload: A400M 1781nm; Belfast 970nm. October 1, 2013 - 9:58 pm John Billinton. most interesting,as an ex RAF engineer on Belfasts,but I can see the avantages,speed and range,of the A400m,john billinton. Half the RAF problem when they decided on their airlift capability back in the mid sixties they cut the cake 3 ways. Big for Belfast, medium for Hercules and small for the Andover development of the HS748. A much better split would have been only two ways, the European Transall ( with RR engines) for small to medium lift and the Belfast for heavy or long range. For once there was a better mix by buying European made, maybe even getting the French to buy Belfasts as well. But as usual the RAF got 3 and then the politicians made them ditch 2 of those. Lucky we don’t use a 3-sliced cake nowadays- we have it sliced 5 ways! Yes the Belfast was a great aircraft in its day,but I have to admit,it did not have the speed and range of load capacity of the Atlas,but we are talking about the early sixties,but still a gentle mans aircraft,where you had nice seats up on the Minstrel Gallery,oh happy days,John.ex RAF Belfast Specialist. Another fantastic birthday aeronautical artwork!